Hospitality industry has become a vital and very vigorous part of national economy. At the same time, the very high number of labor turnover and low wages gives a signal of the challenges remaining for the career in hospitality industry, as well as its workers. Currently, the hospitality industry is employing 1.8 million workers nationwide in USA, and has been among the fastest growing industry in most of the countries for the last 30 years. It is important, particularly to the metropolitan areas, which holds about two thirds of rooms in the industry. With the hospitality industry growth, there has been shifts in ownership and the growing competition has increased pressures on the managers to turn quarterly profits and also shed the units that are outside firms primary, or core competencies; a reason which is believed to see the career in hospitality industry move into another level, this time. The hoteliers are very fantastic with people, reason why they get their salaries. Yet, when it comes to technology, not everyone in the hotel industry is very comfortable. 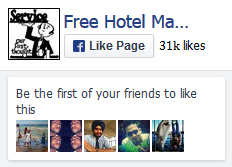 Getting jobs in hotel must be done in line with getting max out of social revolution online. As most job opportunities are right now, its exposure and all about meeting new people and businesses that increase the chances of getting the hotel job you want. The good news now is that with the advancement of technology, things have become more simplifies, especially with the finding of jobs. Everyone who has a career in hotel industry can hunt the opportunities more effectively using the internet. What is Required when Searching Hotel Jobs Online? Drive: You need to understand that you may not apply for none job and simply get it; there are other people out there who have the same qualifications as you and are competing for the jobs. It may be their chance this time, but what about tomorrow? Drive makes you go on; until you get the hotel job you have always dreamt of. Common sense: There is no job that has been kept for you, but there are lots of job opportunities out there. How you make these opportunities come your way makes all the difference. It’s about positive attitude, and making your best when searching for the hotel job. Vital Skill: The vital skill here is you to have hotel industry training, which in fact most hotels are looking for. Having some prior experience is also important but not a must. Ensuring that the course they need, is what you provide makes the whole process of job searching easy. Be specific and focused: Sometimes when searching for jobs in hotel, most job seekers are not specific of what they want. They just want to do any other job which can be done in the hotel. You need to identify the specific department you are looking for, and which will better suited the hotel industry training skills you possess. This ensures that the job which you get netter matches your abilities. If you send emails to hotels looking for ‘suitable jobs’, the emails will end up at the junk folder of the hotel manager or HR manager, you don’t that, or do you? Is the hotel management good with you? These are some of the questions that will help you not only in applying for the hotel job but also in ensuring that if you happen to get the interview, they will get someone who is interested. They will know by the way you respond questions of how you know the hotel. It also guarantees you of better working conditions and salaries, since you have known before applying. It’s about going beyond superficial networks: It is very unlikely for you to have less than one hundred contacts in your email, Facebook, LinkedIn among other networks, not all of whom may be important as far as looking for hotel jobs are concerned. But grouping these friends by relationship will give you amazing categories of who can be valuable sources of information. Remember, people are everything, and making contacts with them might lead you to a hotel position that you never imagined. Build relationships with those in the hotel industry as well as the hospitality industry and get tie to have some social relationships with them. Later, let them understand that you have been looking for a post in hotel and these people will work an amazing thing for you. 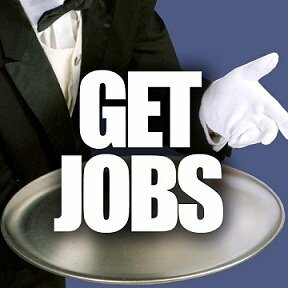 The next part continues with what to do to get hotel jobs, the income and probability of getting hotel jobs. Great post! I especially like the point of networking to become more involved with the hospitality community. I currently just graduated in Tourism and am interested in a future opportunity in the guest services department.